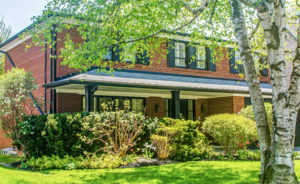 Touched by tradition, this enchanting home is situated on a beautifully landscaped lot on a quiet cul de sac in Lawrence Park. Sunnybrook Hospital, The Toronto French School, Crescent School and miles of nature trails are within easy walking distance. This gorgeous home has been lovingly renovated and will appeal to the most discerning buyer. The recently renovated gourmet kitchen and family room overlook the professionally landscaped garden and pool.